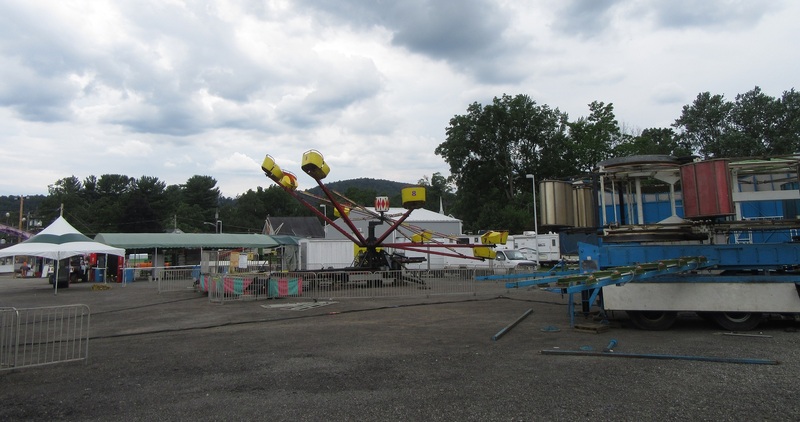 Employees of Nonweilers Amusements were busy Monday afternoon setting up rides and refreshment stands, while fire company members were emptying the bays that will become the bar for their five-day carnival. The annual Triton Hose Company Carnival opens on Tuesday, July 31 and runs through Saturday, Aug. 4, culminating with a fireworks display. The midway opens at 5 pm each weekday evening, and there will be live music each evening beginning at 7 pm and ending at 11 pm. The carnival opens at 1 pm on Saturday with an eight dollar matinee ride special through 4:30 pm. Music starts at 8 pm on Saturday and ends at midnight. Bands in order of appearance from Tuesday through Saturday are The Midnight Rhythm Section, Mace in Dickson band, Flaxy Morgan, Infinity, and Popstar Drive. The 33rd Jack Daniels Mile run will start at 7 pm, followed by the Fireman’s Parade through Tunkhannock. The antique and classic car and equipment parade will be held at 7 pm on Saturday evening. 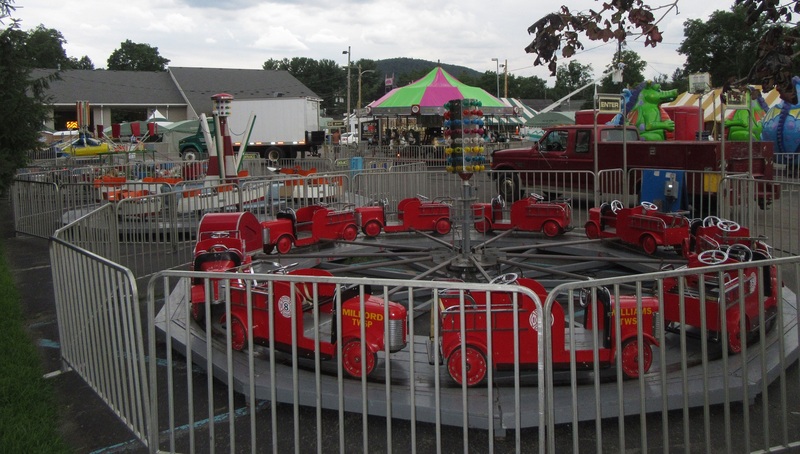 The Triton Hose Company Carnival generates approximately 80 percent of the company’s budget. More information and race entry forms can be found at www.tritonhose.com.